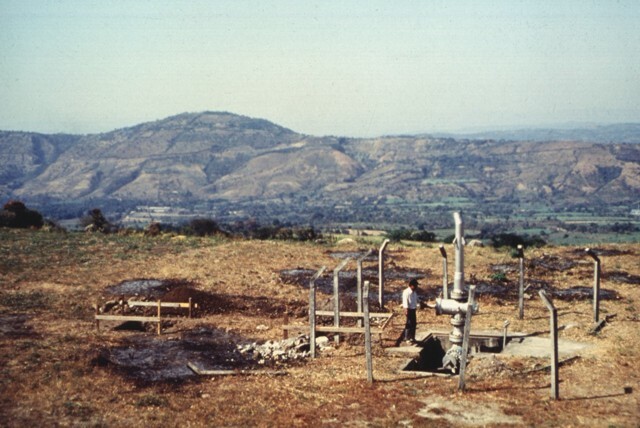 The Global Volcanism Program has no activity reports for Apastepeque Field. The Global Volcanism Program has no Weekly Reports available for Apastepeque Field. The Global Volcanism Program has no Bulletin Reports available for Apastepeque Field. 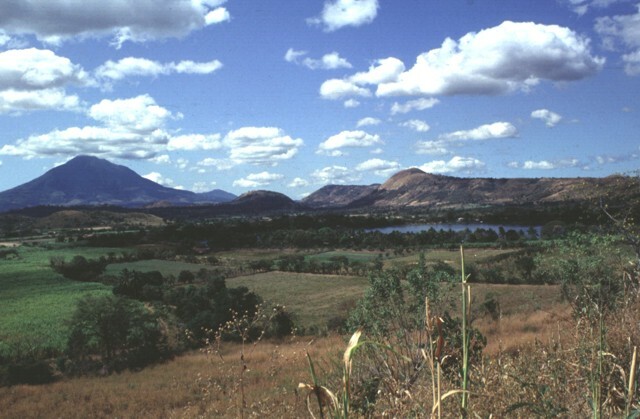 The Apastepeque volcanic field, N of the city of San Vicente, consists of a dense cluster of about two dozen chemically diverse Holocene volcanic vents, including lava domes, cinder cones, and maars. Andesitic-to-dacitic lava domes were emplaced in some vents following dacitic pumice eruptions. After the end of these more siliceous eruptions, a series of basaltic cinder cones was formed. 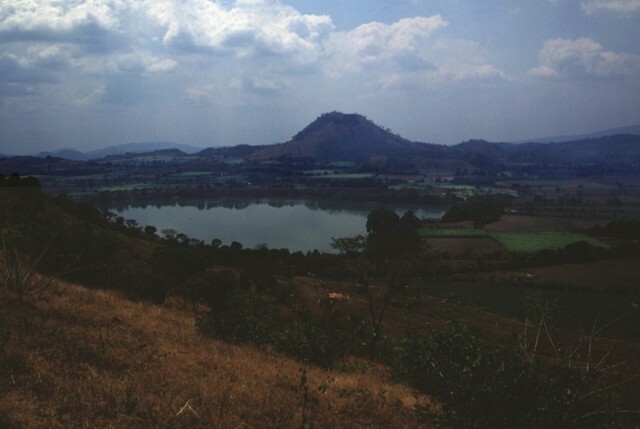 Some of the basaltic eruptions concluded with the formation of steep-walled maars up to 100 m deep, some now occupied by lakes, such as Laguna de Apastepeque and Laguna Chalchuapán. The Global Volcanism Program is not aware of any Holocene eruptions from Apastepeque Field. If this volcano has had large eruptions (VEI >= 4) prior to 10,000 years ago, information might be found on the Apastepeque Field page in the LaMEVE (Large Magnitude Explosive Volcanic Eruptions) database, a part of the Volcano Global Risk Identification and Analysis Project (VOGRIPA). There is no Deformation History data available for Apastepeque Field. There is no Emissions History data available for Apastepeque Field. Cerro El Cerrón (right-center), one of the largest lava domes of the Apastepeque volcanic field, rises to the south above Laguna de Apastepeque. The 740-m-high Cerro Cerrón (also known as Cerro de las Ramírez) is an andesitic lava dome that rises 240 m above the valley floor and has a small depression at its summit. 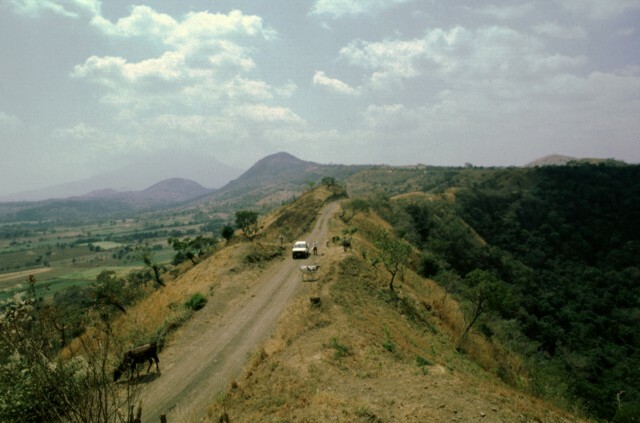 The Pan-American highway cuts across the valley floor between Laguna de Apastepeque and Cerro Cerrón. The Apastepeque volcanic field north of the city of San Vicente consists of a dense cluster of about two dozen chemically diverse lava domes, cinder cones, and maars NE of San Vicente volcano. 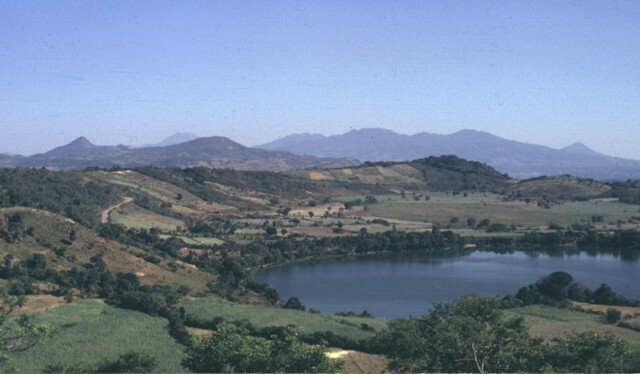 Laguna de Apastepeque is seen here from the WNW with peaks of the Tecapa-San Miguel volcano group in the background. The visible walls of the 800-m-wide lake are only about 5 m high, but the lake is approximately 50 m deep. 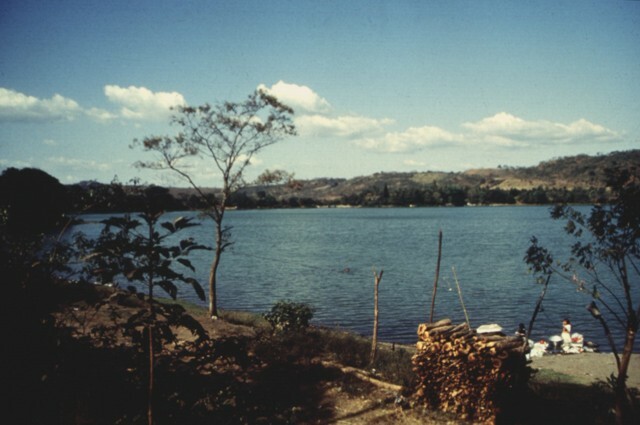 Laguna Chalchuapa (also spelled Chalchuapan) is one of two lake-filled explosion craters of the Apastapeque volcanic field. The 700-m-wide crater is located immediately NE of the dry explosion crater Hoyo de Calderas. Coarse andesitic and basaltic lahar deposits underlie dacitic pumice deposits exposed in the walls of Laguna Chalchuapa. 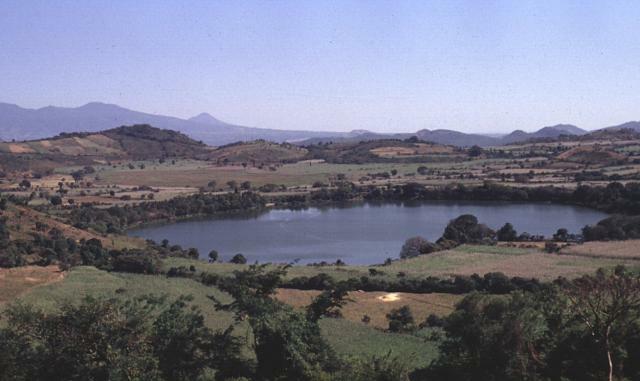 The low-rimmed Laguna de Apastepeque is one of two large lake-filled craters in the Apastepeque volcanic field. The 800-m-wide lake is about 50 m deep. 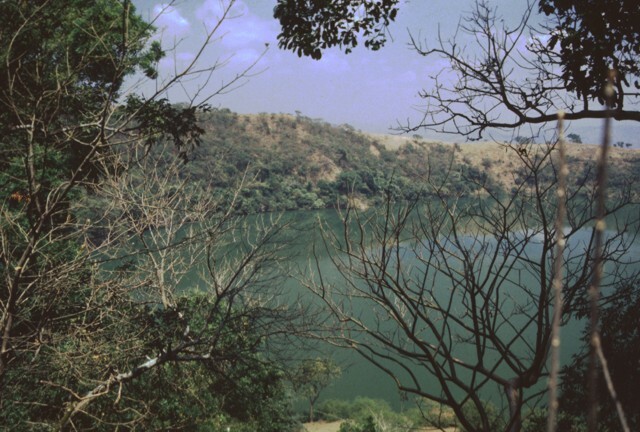 The lake is surrounded by flat-lying beds of basaltic ash containing angular blocks of andesite. Hoyo de Calderas, also known as El Ollo, is a phreatic explosion crater located NW of Laguna de Apastepeque. 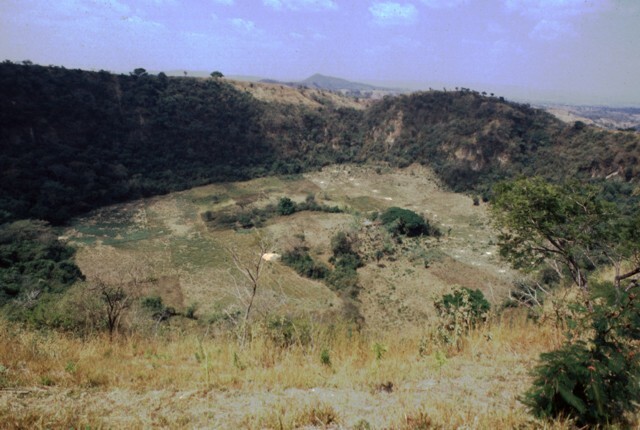 The steep-walled crater, seen here from the SE, is 700 m wide and 140 m deep. Unlike nearby lake-filled Laguna de Chalchuapa and Laguna de Apastepeque, the floor of Hoyo de Calderas is dry and available for agricultural use. Several different volcanic features of the Apastepeque volcanic field can be seen in this view from the rim of Hoyo de Calderas, a phreatic explosion crater. The peak on the center horizon and the rounded peak beyond it to the left are Cerro Las Delicias and Cerro Santa Rita, respectively. Both are lava domes. The conical volcano in the haze behind Cerro Santa Rita is San Vincente stratovolcano. There are no samples for Apastepeque Field in the Smithsonian's NMNH Department of Mineral Sciences Rock and Ore collection. Large Eruptions of Apastepeque Field Information about large Quaternary eruptions (VEI >= 4) is cataloged in the Large Magnitude Explosive Volcanic Eruptions (LaMEVE) database of the Volcano Global Risk Identification and Analysis Project (VOGRIPA).